Dr. Neville Bamji is a leading gastroenterologist in New York City, providing top-quality care for patients at New York Gastroenterology Associates on Manhattan's Upper East Side. Dr. Bamji has substantial experience diagnosing and treating a broad array of diseases and conditions affecting the gastrointestinal system, including the esophagus, stomach, small and large bowel and liver. With research interests in colorectal cancer screening and wireless capsule endoscopy, Dr. Bamji is skilled in state-of-the-art approaches including colonoscopy, upper endoscopy, video capsule endoscopy and flexible sigmoidoscopy, as well as treatments for ulcers, Barrett's esophagus, colorectal cancer and polyps, liver disease, gastroesophageal reflux disease (GERD), lactose intolerance and irritable bowel syndrome. In addition to seeing patients at New York Gastroenterology Associates, Dr. Bamji is a clinical instructor of medicine at Mount Sinai Hospital. 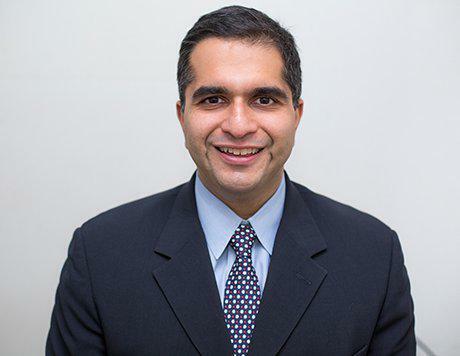 After completing his undergraduate degree in biology at Johns Hopkins University and his medical degree at Weill Medical College at Cornell University, Dr. Bamji completed an internship and residency in internal medicine and a fellowship in gastroenterology and hepatology at New York Presbyterian Hospital - Cornell Campus. Dr. Bamji has received multiple honors and has been extensively involved in research, presenting the results of his studies at both national and international conferences and venues. He has also been widely published in peer-reviewed journals and maintains active memberships in the American Society of Gastrointestinal Endoscopy and the American College of Gastroenterology. We offer additional services please call our office for more information. Not all physicians participate in all plans. At NYGA it is our mission to assist patients in aspects of their care including insurance and payment related matters. All insurance coverage is verified in advance and all claims to insurance carriers in which individual doctors participate will be submitted for assignment. Should patients be required to pay directly for services we will as a courtesy provide all the necessary paperwork to submit a claim for reimbursement. Insurance coverage for lab work, pathology and anesthesiology services varies. Patients are responsible for any out-of-pocket expense as a result of co-pays, deductibles, co-insurance etc.